A pronoun is a group of words whose function replace a noun. 2. 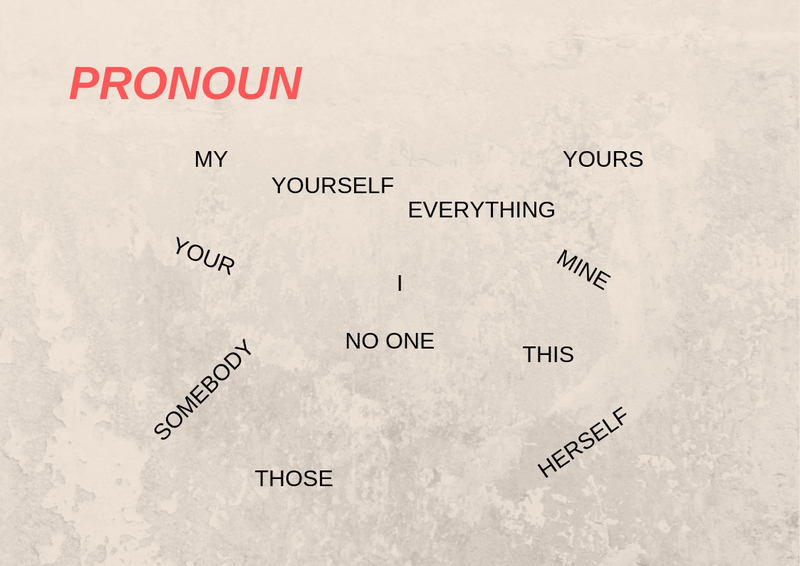 Possessive pronoun: Mine, yours, ours, theirs, hers. Someone, anyone, everyone, no one, somebody, anybody, everybody, nobody, something, anything, everything, nothing.